High angle view following a lone red car as it travels down an emply six lane highway. hd00:10High angle view following a lone red car as it travels down an emply six lane highway. hd00:11Video of cars goin in both directions on a six lane highway interrupted by a red card crashing into the guard rail in the median and bursting into flames. 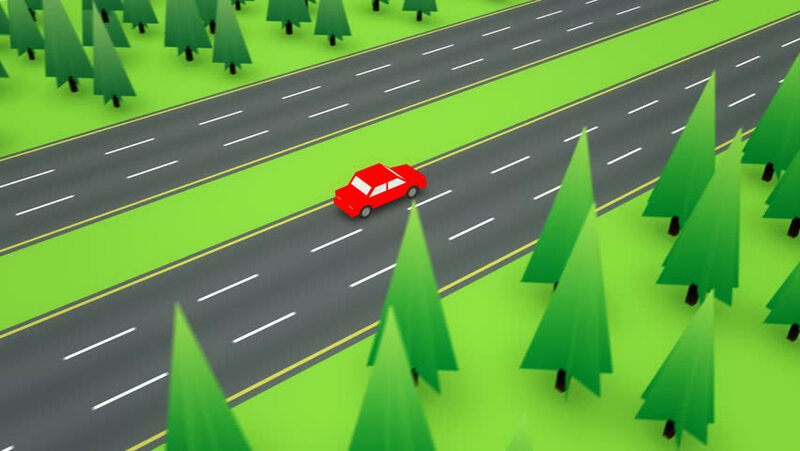 hd00:15Loopable following shot of a red car travelling in the empty side of a divided highway while the other direction has bumper to bumper traffic.